« When governments fail them, how citizens organize and build their own communities ? Irregular or illegal housing constitutes the ordinary condition of popular urban housing in the Middle East. 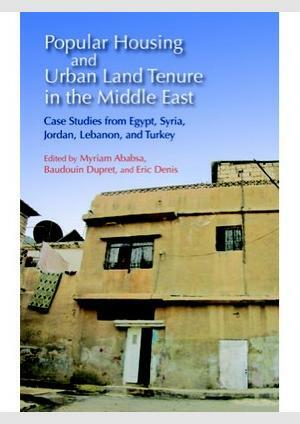 Considering the conditions of daily practices related to land and tenure mobilization and of housing, neighborhood shaping, transactions, and conflict resolution, this book offers a new reading of government action in the cities of Amman, Beirut, Damascus, Istanbul, and Cairo, focusing on the participation of ordinary citizens and their interactions with state apparatus specifically located within the urban space. The book adopts a praxeological approach to law that describes how inhabitants define and exercise their legality in practice and daily routines. The ambition of the volume is to restore the continuum in the consolidation, building after building, of the popular neighborhoods of the cities under study, while demonstrating the closely-knit social relationships and other forms of community bonding. Arrêt de Tramway "Nations Unies", 2, en remontant vers le "Sofitel", à 200 mètres, trottoir de droite.